The CleanMyPC Popup Blocker 2.1 is powerful and functional popup blocker software. It stops annoying pop-up ads when you are surfing the web. It has fitted artificial-intelligence engine. The artificial-intelligence engine will automatically distinguish between pop-up ads and helpful pop-up windows, discontinuing the unnecessary windows while permitting the functional ones. 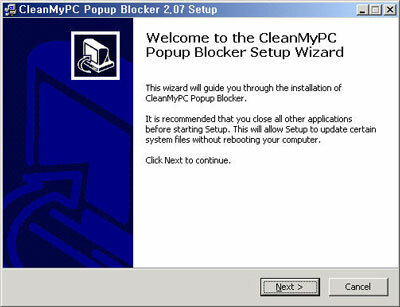 The CleanMyPC Popup Blocker supports Windows 95, Windows 98, Windows Me, Windows NT, Windows 2000, and Windows XP operating systems. It has user-friendly and easy to use interface..